This property has a lot to offer with over 30+ acres divided by HWY 23 west w multiple access points. 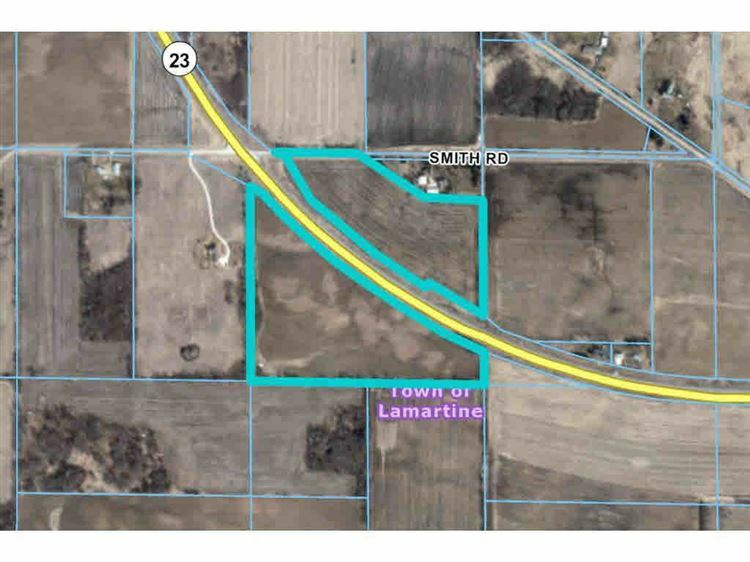 Just off Smith rd in Lamartine, this property has road frontage galore, is currently tilled and used as high yielding cropland, great future potential for a build site, or a great long term planning investment. So many options for this unique property! Hwy 23 West to Lamartine. Property is on the corner of Hwy 23 & Smith Rd.